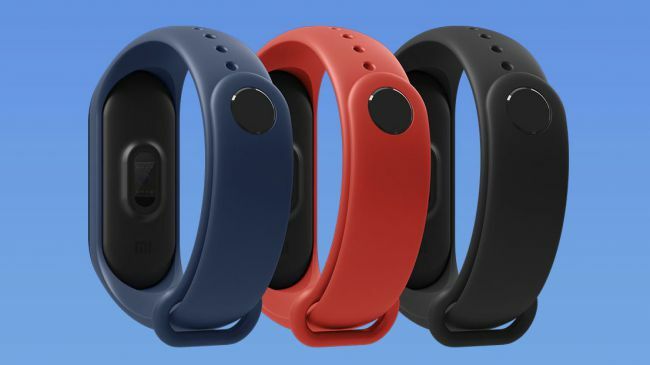 In its Annual product launch event held in Shenzhen China the company has announced Xiaomi Band 3 an addition to the cheap fitness tracker lineup. Xiaomi’s Bands are hugely popular in Indian markets that has also seen during the Xiaomi HRX collaboration to bring Mi band 2 HRX edition which was custom made for India. In this event company has also announced a new flagship killer MI8, as per the news both are exclusively launched only for Chinese market. Incase if you’re willing to stretch your gadget inventory with a smart fitness tracker. We think Mi band 3 is that worth product you should consider. What’s “redesigned” on MI band 3 ? Tracker: Lei Jun, Cheif Executive at Xiaomi said durning the event that many band 2 users reported about tracker falling from the strap so we redesigned it to ensure band is tight and secured on wrists and don’t fall out easily. Display: The most remarkable update is in the display size of the Mi Band 3 as now it has a 0.78-inch OLED capacitive touchscreen which is huge as compared to 0.42 inches of the band 2. However the technology remains the same, might be because sunlight legibility was never an issue with Mi band 2. It has an added ability of viewing messages, whatsapp text, weather forecast on the bands screen. Newer version also offers rounded glass which makes the overall design more appealing. Strap: The strap retains its interchangeability in the new mi band 3, so you’ll be able to pair with variety of outfits and combinations. Xiaomi says this is a new thermoplastic elastomer that should be more friendly and non-irritant for your skin. Colors: Band is initially launched with 3 color choices, graphite black, hot orange and deep blue but there will be a good range of different colors as replacement/spare band. Battery: The battery has also bumped up to 110mAh, which is more than the previous MI band 2 but, however it offers a lesser backup time of upto 20 days due to bigger screen size. What sets it in the league of fitness trackers? The new Mi band boasts an updated heart rate sensor with always on feature and an improved algorithm that will notice changes in beats per minute. Offers usual pedometer sensor which will count steps taken, however the earlier band had a inaccurate sensor. this i’ll be interesting to see what Xiaomi has did to rectify this on the band3. It does not have a GPS inbuilt rather uses smartphones GPS to calculate distance and running trips. Mi Band 3 is more water resistant, so you can jump into the pool without stress of a second. It also calculates sleep time and quality using a accelerometer which is very accurate in its results. What will be the price and expected Mi Band 3 India Launch ? In China Mi Band 3 will be selling at an asking price of 169 yuan which is approximately 1799 in Indian currency. The prices for Indian version are not official yet, we expect Mi Band 3 India Launch, somewhere in the end of September.